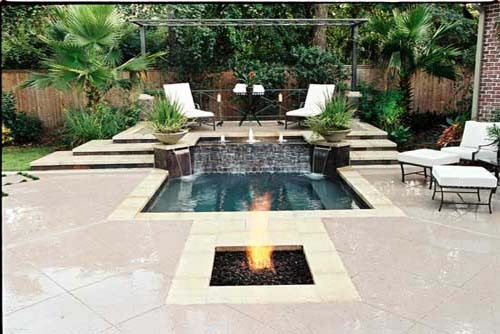 This luxurious spa creates a visual focal point for all seasons in this exciting back garden setting. 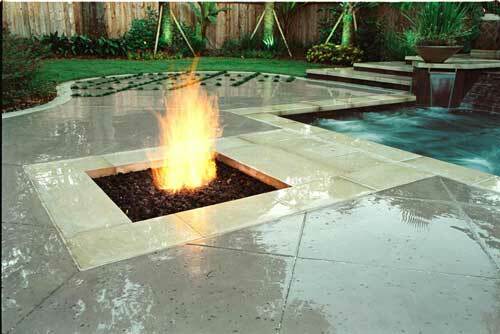 The raised sun deck features a bubbler pool that cascades down to the spa level flanked by scuppers in the angled wing walls. Deep water in the center of the spa allows you to stand up and still be immersed in it’s soothing effects. 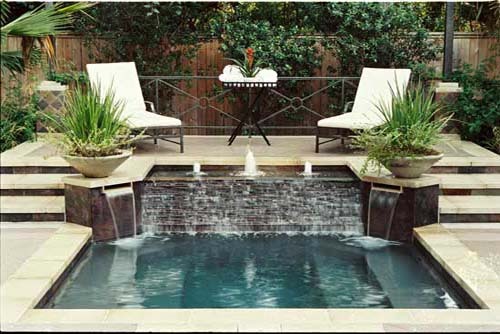 The main deck terrace connects to the back of the home and wraps around a fire pit as it flows outward to the spa. Bold, wide, limestone steps accentuate the horizontal lines and create a sense of spaciousness and destination beyond. textured concrete with soft earth tones tie all of the elements together while contrasting with the custom mix diamond brite plaster and slate finishes. This stunning combination makes for an irresistible experience.